Irregular Sleep In Menopause May Be Linked To Hot Flashes, Depression; Try These Foods For Sleep! According to a study published in Journal Sleep Medicine, sleep problems vary across the stages of menopause, yet are consistently correlated with hot flashes and depression. According to a study published in Journal Sleep Medicine, sleep problems vary across the stages of menopause, yet are consistently correlated with hot flashes and depression. The researchers from University of Illinois (UI) used data from the Midlife Women's Health Study, which followed 776 women aged 45-54 years in the greater Baltimore area for up to seven years. The women provided annual surveys and blood samples so that the researchers could track sleep disruptions, other menopausal symptoms and hormone levels as women transitioned from pre-to-post menopause. To track poor sleep, the surveys asked questions about frequency of insomnia, restless sleep and sleep disturbances. The study found no correlation between the likelihood of reporting poor sleep before menopause and after menopause. This means that for many women in the study, their reported sleep problems changed as they transitioned to different stages of menopause. In other words, women who had insomnia during menopause were more likely to have insomnia after menopause. 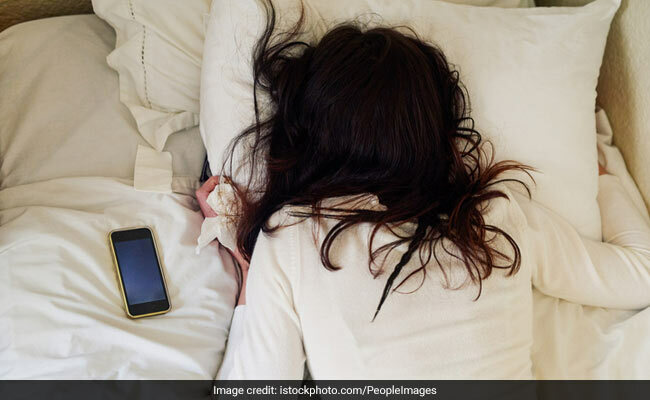 The findings suggest that addressing those risk factors may also address sleep disruptions, as well as give women hope that their sleep symptoms may not last past the menopausal transition. It is important to look after your diet to get some sound sleep. Here are foods that may help you get some sleep. A glass of warm milk may prove to be an excellent sleep supporter. It contains tryptophan, an amino acid that converts into serotonin, which is known to induce calming effects in the brain. Lack of calcium is also one of the most common causes of disrupted sleep patterns. Bananas can help bring a satisfying sleep as they contain potassium and magnesium, both of which are muscle relaxants. They are also packed with the good carbs that make you feel sleepy. A tablespoon of honey every night may help induce a good night's sleep. The natural sugars in honey increase the insulin levels in our body and allow tryptophan to enter the brain that releases chemicals that relax the body. Almonds are dense with magnesium that will help you catch some sleep. It also helps in regulating your blood sugar levels while sleeping. You can also try eating walnuts.